With 8 suitcases, a 2 year old and a 3 month old, our journey from North Carolina to China began. “It’s just for a couple years” my husband kept telling me, which I kept telling my friends and family. That was 7 years ago. In fact, as I finally sit down to write this on 6/1/2016, it’s almost to the day we moved to China. Since then, we’ve moved 3 times, from Shenzhen (south of China) to Haiyang (North of China in Shandong Province) to now Qingdao (2 hours away from Haiyang). And time flies! Our kids were just babies when we moved here, now they are already in 2nd and 4th grade! I had my own clothing design business, but am now a full fledged expat wife and mommy. I couldn’t walk pass my gate to go to the grocery store without a translator, now I have a decent grip with Mandarin and have fun exploring. It’s definitely not the easiest move, leaving family friends and loved ones, but it was the best decision we ever made. 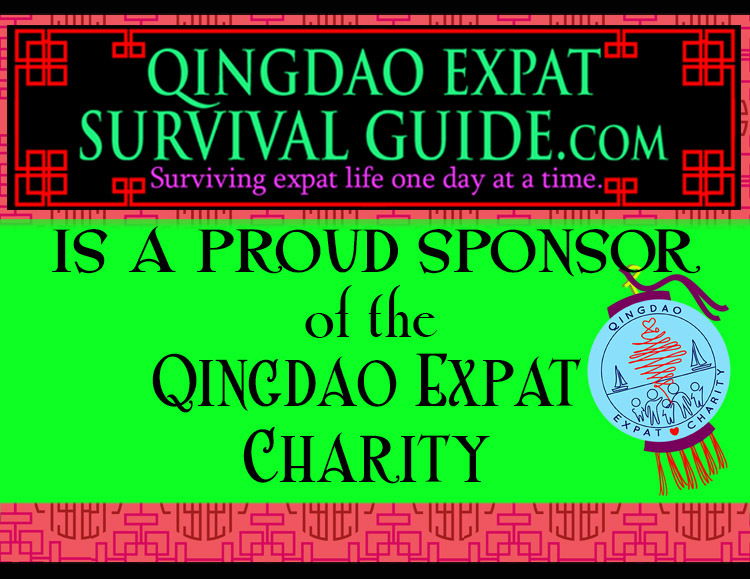 I started Qingdao Expat Survival Guide because even after we moved the short distance from Haiyang to Qingdao, it awakened the same feelings I had when we were newbie Expats 6 years prior. I wished back then I had a better idea – the real scoop on the good, bad and ugly- on how life would be like as an expat in China. So hopefully my journey as an expat in China can help you too! So happy to see this new blog.. As there are not many 😋! I leave as well in Qingdao since 1 year around! My name is Amandine, part of the French family leaving there. Hope to follow you soon, and probably meet you one time! Thank you for your response, Amandine! Looking forward to meeting you as well! I miss you so much- I am glad you have this blog-now I can at least see how you are and watch the kids grow up. I have a high schooler!!! She reminds me of us. I love you miss you bunches. Wendie – wow, it’s so great to hear from you. Highschooler? Where did those days go??? I’ve been surfing online greater than three hours today, yet I by no means discovered any fascinating article like yours. Itˇs lovely value enough for me. In my opinion, if all website owners and bloggers made excellent content material as you probably did, the internet will probably be a lot more useful than ever before. Hello there I am so thrilled I found your blog page, I really found you by accident, while I was looking on Google for something else, Nonetheless I am here now and would just like to say thanks a lot for a fantastic post and a all round entertaining blog (I also love the theme/design), I don¡¯t have time to look over it all at the minute but I have book-marked it and also added your RSS feeds, so when I have time I will be back to read much more, Please do keep up the superb job. A friend of yours suggested this blog to me. We will be moving to Qingdao soon. Will it be possible to communicate with you through email, as I would love some North American perspective from someone who has young kids. Hi Fatima! Great you are coming out here! Feel free to PM me with any questions! Stay up the great work! You recognize, lots of people are looking around for this info, you can aid them greatly. Thanks for this blog! I will be travelling to the city and this is so helpful, as there aren’t a lot of information about Qingdao at all. would you be so kind to make some restaurant recommendations? what are the good local eats and what to be aware of when eating out? Also do you have to worry about food safety living there? Great blog! 🙂 very greatful I had the chance to find you on my path. Greetings Nicole! Nice to meet a fellow expat! Loved your post on the Taobao and the Pollution Day massages! Thanks for this blog! I found you by accident and really love your posts. I`m in Qingdao now. We have an activity about inviting some foreigners who live, study or work in Qingdao to explore this city. We will have a team of professionals shooting and taping to produce a documentary. You will have free participation of the full set of tailored experiencing activities. We think you really meet our requirments. If you are interested in our activity and woulk like to know more details, please PM me. Hi Vickie! Thanks for getting in touch with me! 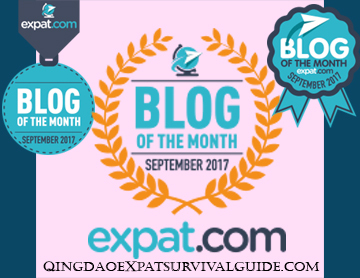 This blog has been pretty useful for prepping me for life in Qingdao. My wife and I are heading there for a year starting on the 28th. Any suggestions as far as smartphones/plans to get? hi Jonathan – Thanks for your comment. I’ve been using the Xiaomi phones, which are pretty good and reliable. You can go their flag ship store (there is one at CBD Wanda plaza) or buy on their Mi website. As for phone plans, I just charge money on my SIM card. Usually 100 rmb gets me 2 months of service. Same thing with my data plan, I just add money (through wechat) whenever I run out. Welcome to Qingdao!!! I am enjoying your blog, are there any wechat accounts for social events around Qingdao? Thanks! Thanks! Best to check out the Redstar Magazine! Great blog! We’re moving to Qingdao in July. My husband and I are teachers, and we’ll be teaching at one of the schools there. The move, as I’m sure you remember, is overwhelming. I have two teens and even they are looking forward to the adventure (They’ve been taking Mandarin in school for four years—TG! ).